In the 20+ years I have been wearing makeup, I can tell you that choosing the right foundation has always been daunting. 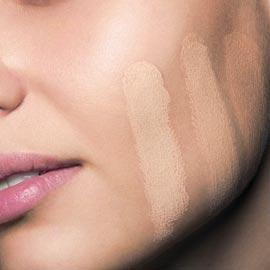 Most women can attest to the fact of having chosen a foundation that looks great in the store but once we’ve made it outside, out of the harsh lighting at the makeup counters, it looks all wrong. The wrong foundation looks mask-like at the jaw line, turns vibrant skin ashy or even makes the face look dirty. But when you are having your picture taken, your flawless face is what is going to be the center of attention. I’ve had the fortunate experience of not only applying makeup on hundreds of women with different skin colors and textures, but I’ve also had the opportunity to sit with wonderful teachers that showed me the correct way to match a face. For me, when a woman sits down in my chair, the first thing I do is assess their skin type. Is it dry? Oily? Combination? Is her skin clear or does she fight breakouts? What type of coverage does she want? Does she have cool undertones? Warm or closer to neutral? This will help with the overall decision of color. For me, I have an olive color to my skin and warmer colors such as browns, burgundy’s and greens look better on my skin tone. If you tend to prefer cooler colors like vibrant blues, purples and true pinks, then chances are, you have cool undertones. Some counters, like Estee Lauder have a chart that they will hold up to your cheek/neck area and match your undertones but you will know better when you swipe some samples. 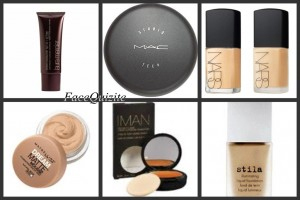 When choosing a brand, I honestly feel that they are all beautiful when applied correctly and trust me, I have experience with tons of foundation from Covergirl to Tom Ford. Price point is usually what helps us decide on what we will end up with but be sure to try out different brands as they do have different characteristics. Next, once you’ve assessed what issues you want to target and your undertones, you can start looking at your choices. Color being your number one priority. Now, the easiest way to match a color to the face is to swipe three colors. You want to make sure you match not only your face but your neck. Nothing is worse than seeing a makeup line underneath your jaw. That can easily be averted with not only the right color, but with a foundation brush, which we will get to later. So for now, grab some Q Tips and dip them in three shades that look closest to your skin tone and use them to swipe a stripe on your face along your jaw line (make sure you keep track of which stripe is which color). Then head outside and check your swipes in the mirror. The perfect shade is the one you don’t see on your face. Once you have narrowed your choice down, wipe off the foundation swipes and ask to apply the foundation you ultimately deemed best, all over your face. Most counters will allow this or even apply it to you complimentary. 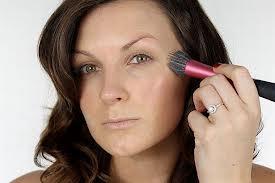 When applying foundation, the best and most effective way to do this is with a brush. My favorite is from Real Techniques. It is just the right size to get spread evenly all over your face as well as get in the corners of your nose, eyelids and jaw line. Start by dabbing a bit on the back of your hand and dip your brush in and apply using circular strokes over the forehead, chin and cheeks. Grab more if needed but the purpose of the brush is to ensure it is a light, even coverage. Once you’ve blended, set with a small amount of powder. I personally like to use a bronzer to set foundation. It adds a bit of color and contour to your “canvas”. Remember, the goal with foundation is NOT to create a “mask like” appearance. It is merely to create a flawless canvas and to cover up any unwanted blemishes and uneven spots. 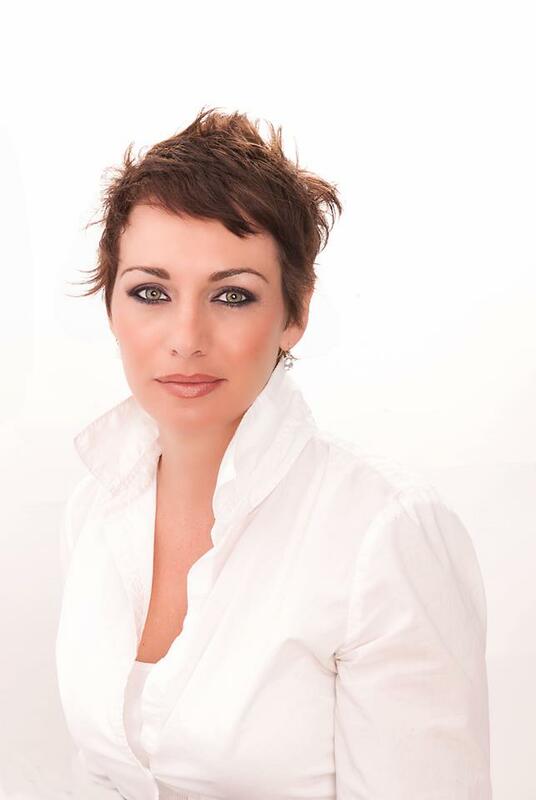 Knowing how to choose and apply your foundation is the just the first step in your beautiful makeup routine and a MUST when having your photo taken. ← previous Posing -- What to do with your arms. next → Lingerie? It's never been about lingerie.